Rolando Medrano BC Dam Tacos, 709 Canyon Road, offers a variety of fresh tacos on their menu, including "Gringo Tacos" with ground beef, lettuce and cheese. The food trailer also daily specials including $1 chicken tacos on Tuesday and $1 pork tacos on Thursday. 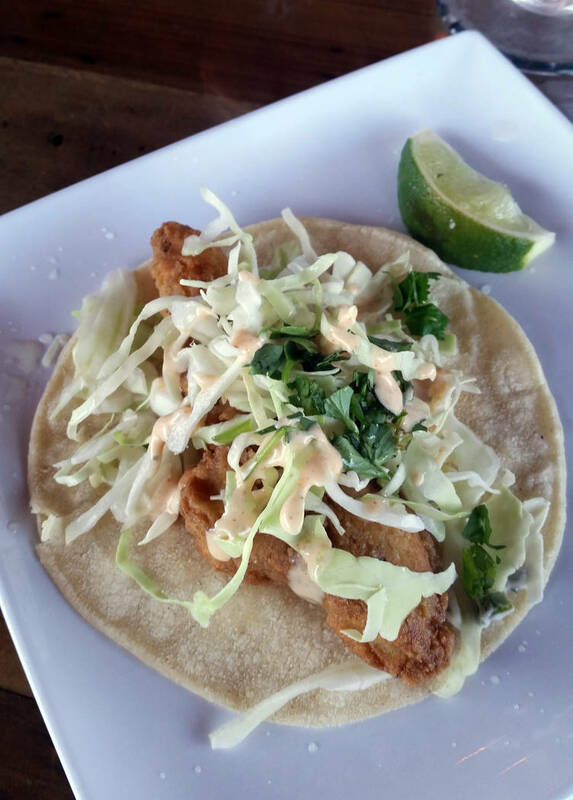 Celia Shortt Goodyear/Boulder City Review Taco Tuesday at The Tap, 704 Nevada Way, includes $3 street tacos, including fried breaded pollock that is topped with shredded cabbage, cilantro, Tapatio ranch and cilantro lime aioli. Celia Shortt Goodyear/Boulder City Review Southwest Diner, 761 Nevada Way, offers three kinds of tacos: chicken, beef or fish. They can purchased as a combo or a la carte. Hali Bernstein Saylor/Boulder City Review The Tap offers a fried avocado street taco on its Taco Tuesday menu. It is served on a corn tortilla and topped with lettuce, red onions and cilantro lime ailoi. Ryan Finnegan Maxx's Food & Drink at Oasis Boutique Motel, 708 Nevada Way, has $1 street tacos every Tuesday. They come in pork, chicken and beef, and each has cilantro and onion compote. Rolando Medrano BC Dam Tacos offers an avocado taco on its menu that is vegan and vegetarian friendly. It is served on corn tortillas and toped with lettuce and tomato. To help spread that joy, we looked around town to find the best places to eat them. In no particular order, here they are. BC Dam Tacos is a family-run food trailer with a menu full of tacos including chicken, beef, pork and avocado. It also has daily specials with $1 chicken tacos on Tuesdays and $1 pork tacos on Thursdays. Its street tacos are made with corn tortillas and filled with slow-cooked meat. The chicken is cooked with spices, tomatoes, and onions, and the pork is cooked with spices and onions. On top of the meat is a mixture of chopped onions and cilantro. The tacos are served with a lime slice to allow fresh juice to be added. Customers can also add a spicy red salsa and a milder green salsa. 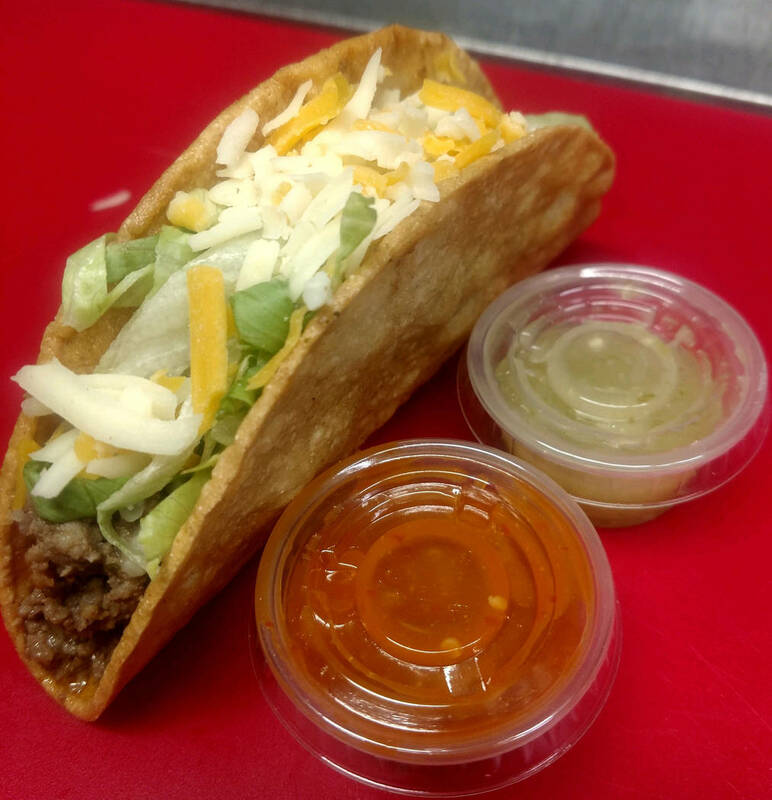 The food trailers also offers Gringo Tacos, served with ground beef, lettuce and cheese. 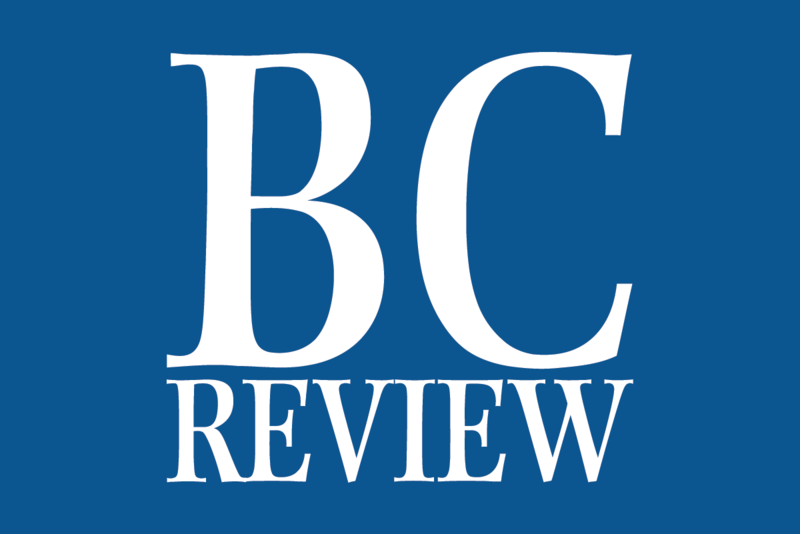 Owner Rolando Medrano celebrated the business’s anniversary in November and said BC Dam Tacos has brought a lot of people to that area of town, including new customers every day. “The neighbors are great here,” he said. BC Dam Tacos is open from 8 a.m. to 7 p.m. Monday through Friday and offers breakfast tacos and burritos from 8-10 a.m. There is also a vegan and a vegetarian menu on request. 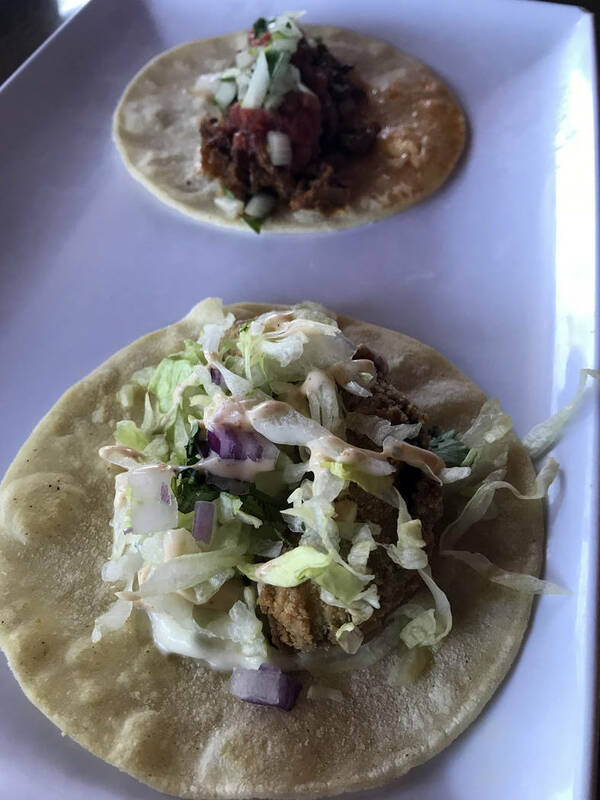 The Tap has tacos on its menu and a special Taco Tuesday menu highlighting carne asada, fried pollock, fried avocado, carnitas, chicken and pork belly. 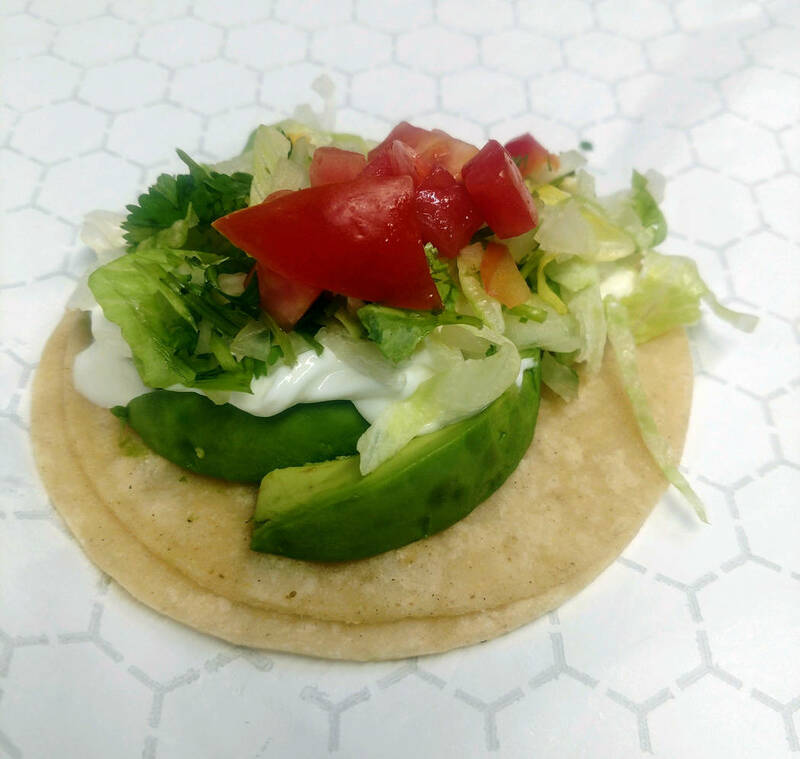 The fried avocado taco is a street taco with cilantro lime aioli, shredded lettuce, red onion, Tapatío ranch dressing and cilantro served on top of a piece of fried and breaded avocado. The pork belly street taco is an Asian fusion creation with sliced braised pork belly, sweet Asian sauce and green onions. 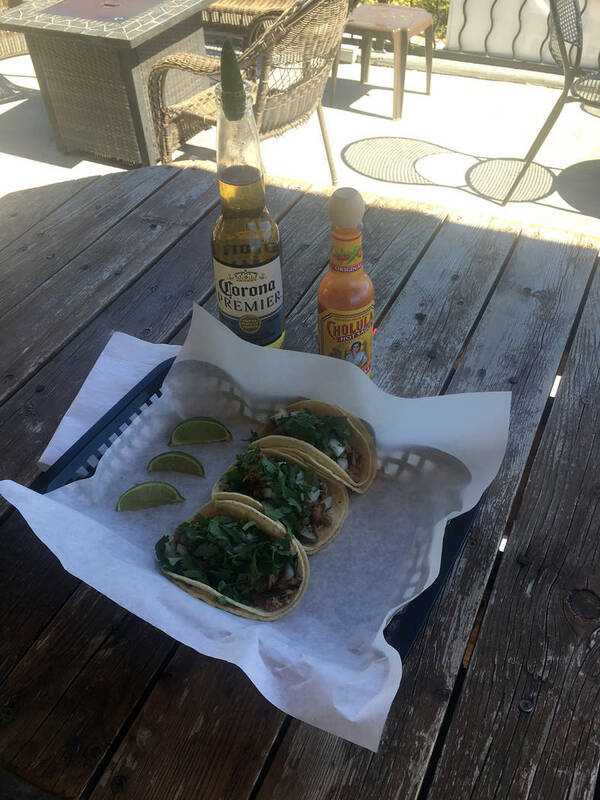 Each taco is $3 and pairs nicely with the available beers and margaritas. The Tap is open from 7 a.m. to 10 p.m. Sunday through Thursday, and from 7 a.m. to midnight Friday and Saturday. Maxx’s offers a Taco Tuesday special that offers customers chicken, beef or pork street tacos for $1 each. Each taco is filled with meat and topped with a fresh cilantro and onion compote. Customers can get lime slices to squeeze on top of the tacos. Manager Ryan Finnegan said he started the special to draw business into Maxx’s on Tuesdays. Maxx’s also has a full menu and bar and entertainment and karaoke. Homecooked items, including three kinds of tacos, highlight the menu at Southwest Diner. The meat is slow-cooked and not marinated. The Mexican beef is cooked in a red sauce, and the fish is deep-fried cod. Beef tacos are available with fajita meat. The tacos come in twos and are served with lettuce and shredded cheese. 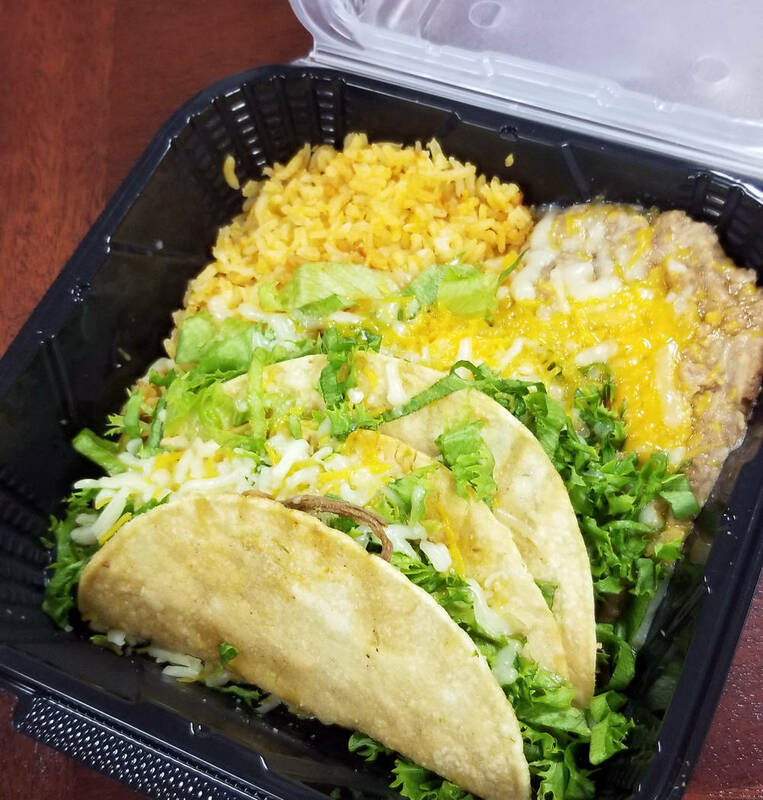 They are available as a combo meal with rice and refried beans topped with melted cheese for $12.50. Tomato salsa is available on the side. Ford said tacos can be bought a la carte. Southwest Diner is open from 6 a.m. to 9 p.m. on Friday and Saturday and 6 a.m. to 8 p.m. Sunday through Thursday. Fox Smokehouse BBQ, 1007 Elm St.
Fox Smokehouse offers chicken, pork or brisket tacos. They come in orders of two for $10.50, and customers can mix or match the type of meat. Lettuce, tomato, onions, cheese, jalapenos and sour cream are available upon request. Brisket tacos are 50 cents more. The restaurant is open from 11 a.m. to 9 p.m. on Friday and Saturday and 11 a.m. to 8 p.m. Sunday through Thursday. Tacos, with a variety of burritos, quesadillas and other Mexican food, are staples on Roberto’s menu. Most come with salsa, lettuce and cheese. Guacamole can be added. The fish tacos come with tartar sauce. Items can be bought individually or as part of a combo. The restaurant is open seven days a week from 7 a.m. to 11 p.m.